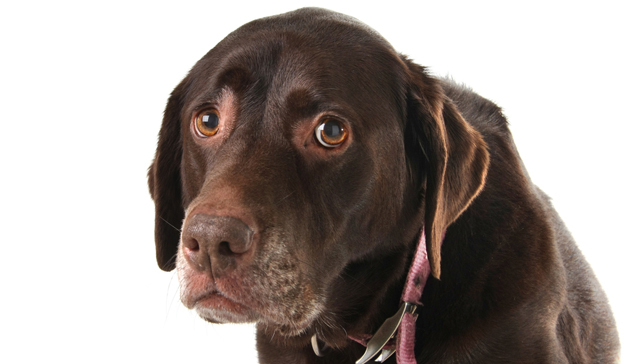 There are many ways you do that your dog hates — and you probably aren’t even aware of them. So if you want to be your dog’s best friend, find out how you can fix your annoying habits. Sometimes, dogs get impatient with our mixed signals. Don’t you want to do better? Dogs try to be our best friends, but boy do we ever make it difficult sometimes. Here are some of the things we do that might make dogs question whether they want to remain best buds or cut ties completely. It is important to note that there is a difference between positive encouragement with shy, fearful, or reactive dogs. Taking small steps to encourage them out of their comfort zone and giving them rewards for any amount of calm, happy social behavior is important to helping them live a balanced life. But knowing the difference between gentle, rewards-based boundary pushing and forcing an interaction is vital to your dog’s safety and sanity. When dogs are pushed too far in social situations, they’re more likely to lash out with a bite or a fight. They’ve given cue after cue — ignoring, avoiding, maybe even growling — and finally they’ve had enough and give the clearest message of all with their teeth. What is possibly even worse, is that their trust in you as a protective leader is eroded, and they have an even more negative association with a park, a certain dog or person, or a general social setting. So do your dog a favour: read the body language she gives you when she doesn’t want to be around certain other individuals and don’t force it. This should be obvious, and we won’t spend too much time on it. But it’s worth pointing out because too many people still think it’s funny. Don’t bark at a dog as you pass it on the street. Don’t wave or talk to a dog that is barking at you from behind a window or door. Don’t pull on a dog’s tail. The list can go on and on, but in short, don’t do something you know makes a dog mad just because you think it’s funny. It’s not funny to the dog and can lead to some serious behavioural problems — and, perhaps deservedly, you getting to sport some new dog-shaped teeth marks. If you’d like to learn more about how to be a better friend to your dog, try these great book recommendations. For example, in “The Other End of the Leash: Why We Do What We Do Around Dogs” professional behaviorist and trainer Patricia B. McConnell goes into excellent detail about the species differences between primates and canids and why dogs don’t appreciate our hugs, as well as many other great ways of understanding a dog’s perspective about the world. Meanwhile, in “Inside of a Dog: What Dogs See, Smell, and Know” by Alexandra Horowitz, you’ll get a chance to see the world through a dog’s eyes and learn so much about body language, the importance of scent, and other things that will help you know more about what your dog wants out of life. And for understanding more about how clicker training and training games can help you and your dog get along better, try “Reaching the Animal Mind: Clicker Training and What It Teaches Us About All Animals” by Karen Pryor.